Dating has changed drastically over the past generations. Although I have been dating my husband before online dating became popular, thus have never used it, I am a huge advocate for it! In the past, if we looked at married couples, most were from the same town (and often from the same neighborhood)! Now, people are getting married later, and moving away from home is more of the norm. 2) Use humor. Dating can be fun! 3) Avoid spelling and grammatical mistakes. We as people make a lot of assumptions based on the information we have, especially online when our information is so limited. 4) Aim to be more satisficing vs. maximizing. There are so many people in this world, and it’s sometimes hard to not think “what if there is someone better out there? !” Whether it’s a menu at a restaurant or potential dates, having a surplus of options can increase the likelihood of feeling unsatisfied with our final pick. Singles in bigger cities (especially NYC) had the most complaints that it was impossible to find a romantic partner and were the pickiest in listing the attributes of their “perfect” partner. So what does this really mean? We are on a continuum from being satisficers to maximizers. Satisficers make decisions once their criteria (which still can be very high) are met. If I go to Wegmans looking for a reasonably priced red sauce with basil, I’ll buy the first one I see without having to compare ingredients and price with every other red sauce. On the other hand, maximizers want to make optimal decisions. If I were in maximizer mode, I would examine every option of red sauce to make sure I’m making the best possible choice. Most of us are a mix of both approaches. You might think that the maximizers would make more informed, better dating choices because they are being so thorough in their research processes before making a decision. However, the maximizing approach doesn’t typically benefit daters because they pass up options that met their criteria with the hopes of potentially finding someone better. So, we may benefit from satisficing and appreciating (but not settling!) for what we have versus what we might have had or could have. If we feel stuck in our relationships – and not just with romantic partners – it might be worth reflecting on and exploring how we’re making the decisions. Are you feeling lonely? Could you use some support regarding making connections to others? If you’re near me in the Buffalo area, I invite you to call me and we can set up a time to meet! Dr. Tacianna Indovina knew that she wanted to be a therapist since she was in high school. From that time, her love and enthusiasm for the healing power of psychotherapy hasn’t wavered. It’s a good thing for our community that Tacianna is as enthusiastic as ever for helping people when they feel overwhelmed, discouraged, and alone. Through her authenticity, gentle directness, and sense of humor, Tacianna works with you to identify patterns of thinking and behaving that may be making it difficult for you to meet your goals. Tacianna’s easy rapport encourages, validates, challenges, and empowers! With her down-to-earth and relatable style, Tacianna provides counseling for late adolescents, adults, and couples, to provide support to recover from interpersonal loss and trauma, overcome mood struggles, cope with anxiety, and adjust positively to life transitions. Tacianna adapts her approach to what you want and need, and aims to help you build healthier relationships with yourself and others. Contact Dr. Tacianna to schedule your free initial consultation today! Dr. Tacianna graduated from Ball State University with her master’s degree in clinical mental health and her Ph.D. in counseling psychology with a specialization in couples therapy. She has spent most of her training at university counseling centers and community mental health clinics where she focused on sexual assault prevention, relationship and couples issues, depression, anxiety, and concerns unique to gender, sexual, and affectional minorities. 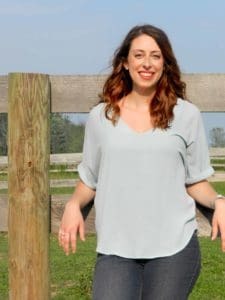 Through her authenticity, gentle directness, and sense of humor, Tacianna works to identify patterns of thinking and behaving that may be making it difficult to meet goals.